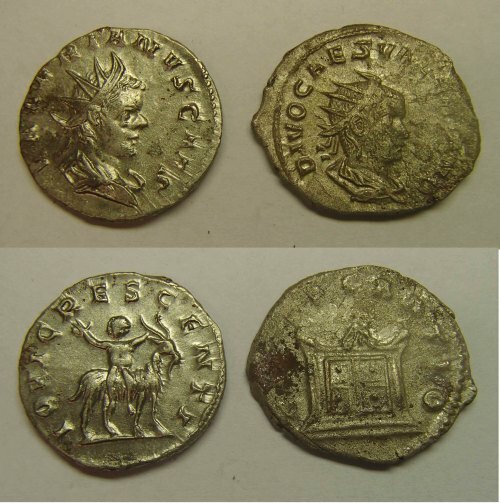 Treasure case 2013 T179: Acquired by the Museum of Somerset. 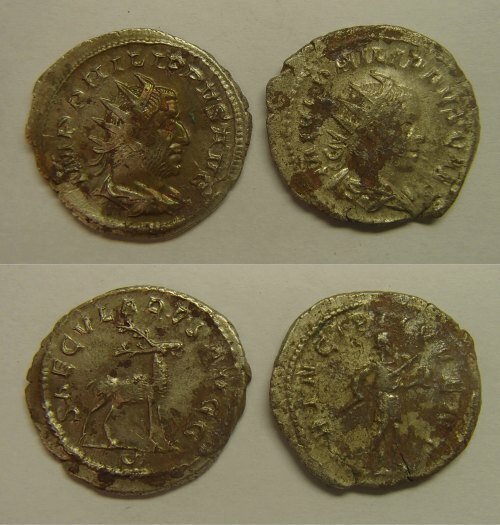 For full catalogue and details of the excavation please contact the Somerset FLO. 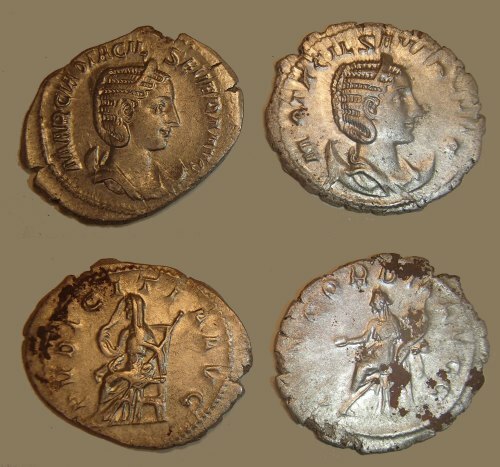 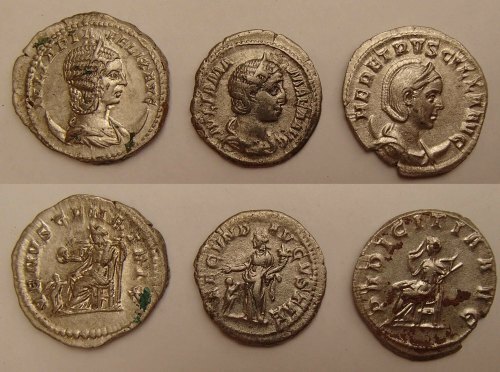 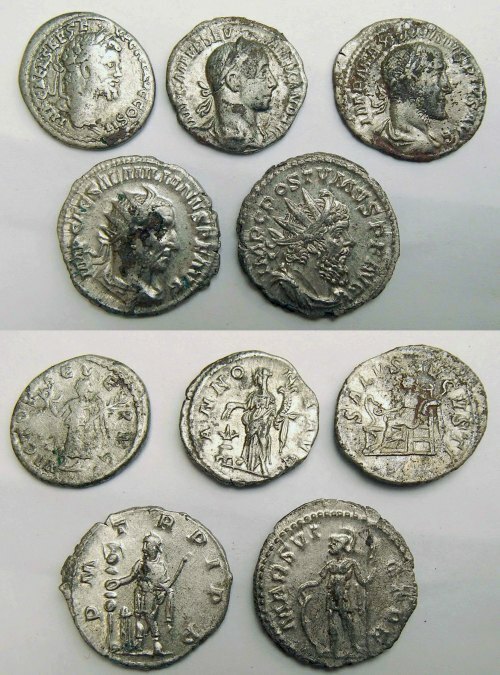 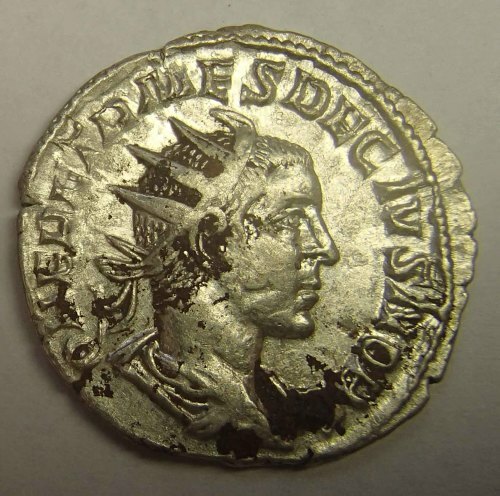 The find consists of 3335 base silver coins of the second and third centuries AD. 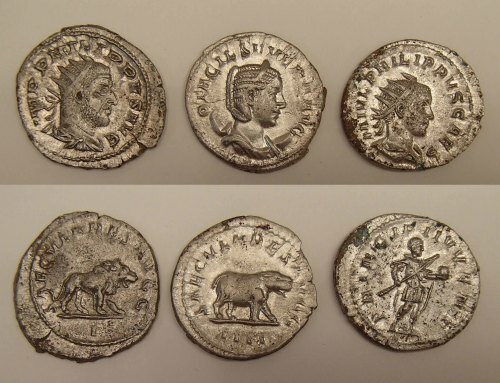 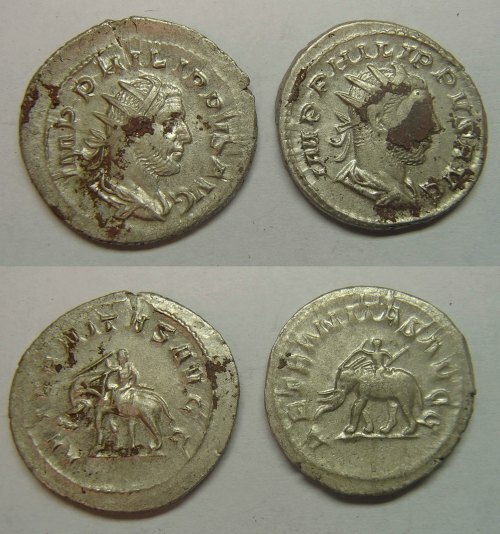 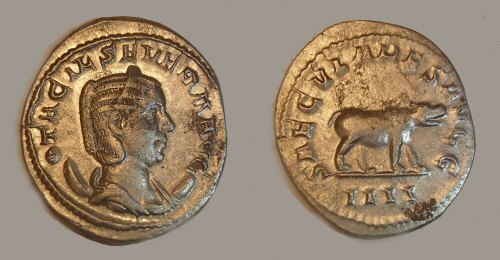 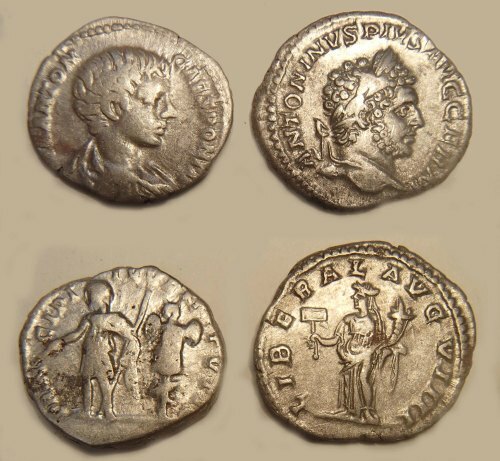 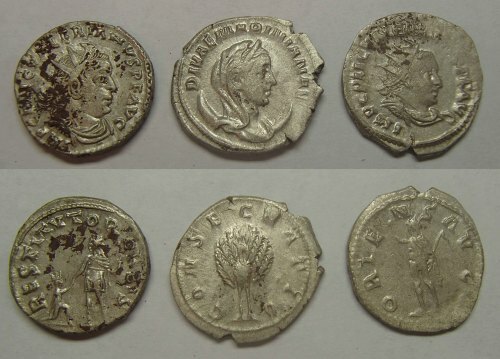 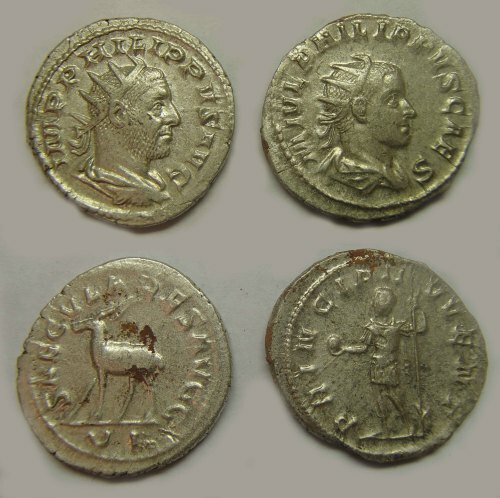 165 of which are denarii (which had been the principle Roman denomination during the first two centuries of Roman Britain) and the rest are radiates, the denarius-multiple (probably a double denarius) first introduced in AD 215 and which began to take over as the main denomination in the course of the third century. 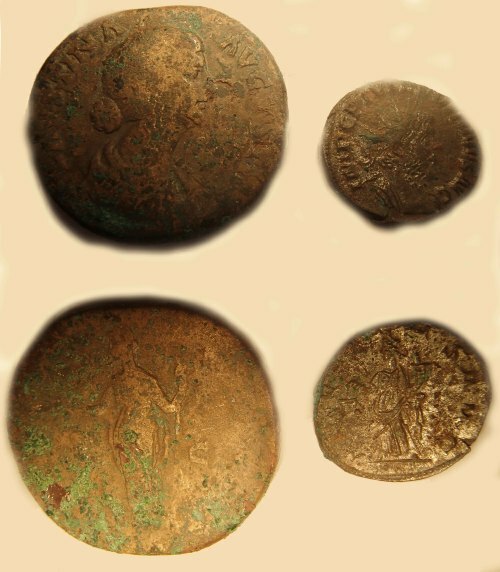 In addition, there are four large brass coins of a denomination known as a sestertius: four such sestertii being the equivalent value of one silver denarius. 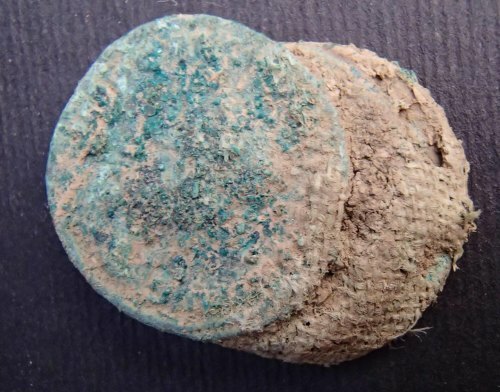 The coins were lifted en masse and when treated in the conservation lab at the BM some were found to be fused together in rolls with remains of cloth and string preserved in the corrosion products; good physical evidence that they were buried together in antiquity. 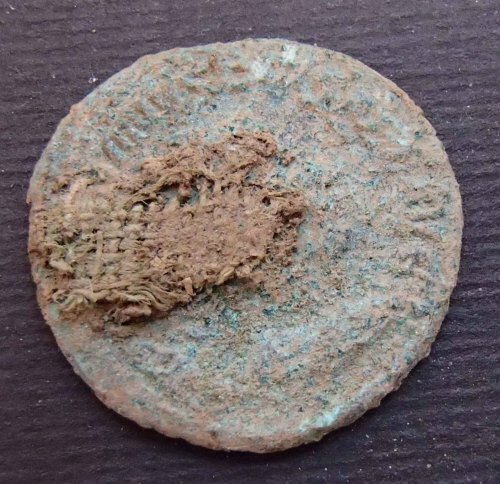 A large amount of potsherds from what had once been a sizable greyware vessel (locally made utilitarian pottery) was also discovered with the coin. 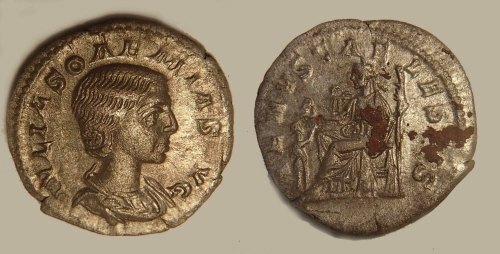 With some traces of corrosion product - leaving some coin-shaped shadows - it was likely to have been the method of storage for the hoard. 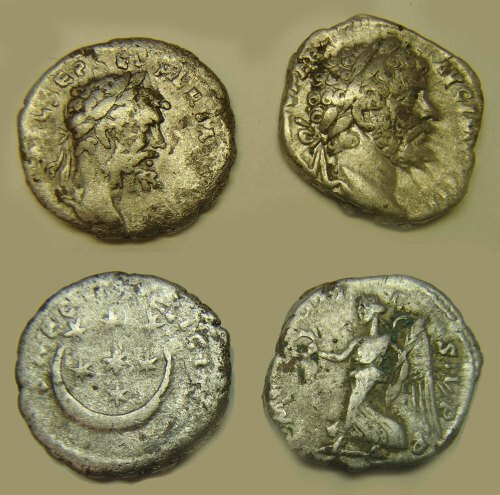 Numismatically, this group of coins could all have circulated together in the third century AD. 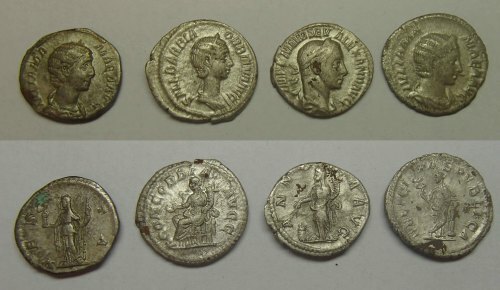 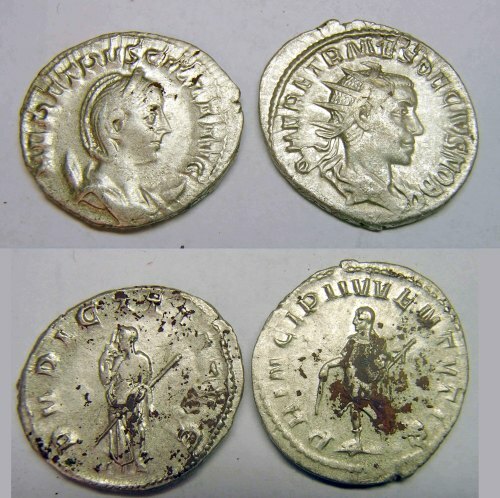 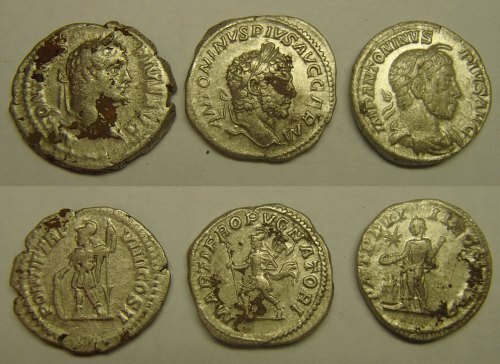 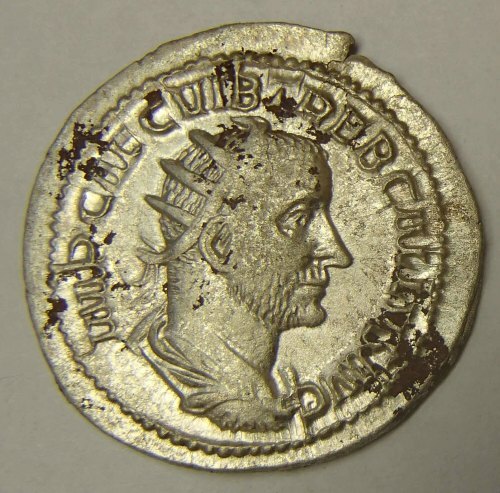 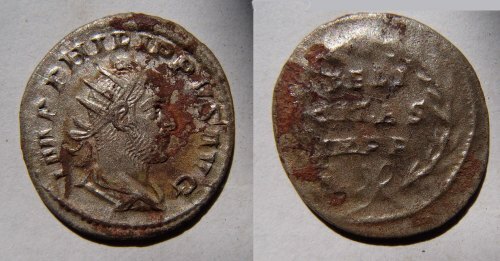 Coins issued prior to the reign of the emperor Septimius Severus (AD 193-211), whose major debasement of the silver coinage made earlier coin attractive to those wishing to remove them to take advantage of their higher silver content, are almost absent and this fits a known pattern for British hoards deposited as this time. 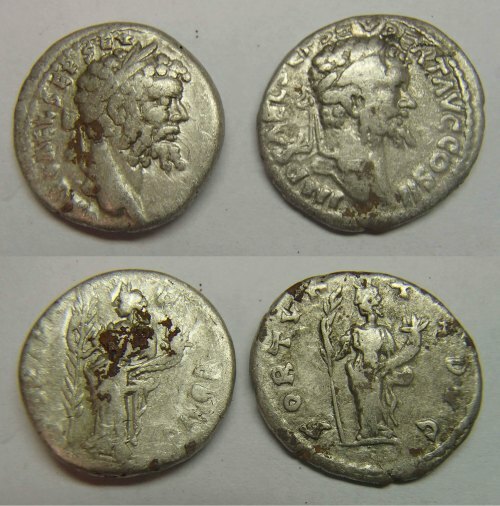 The single coin present of Antoninus Pius (AD 138-61) would, on past scientific tests of similar specimens, be somewhere in the region of 80-90% silver. 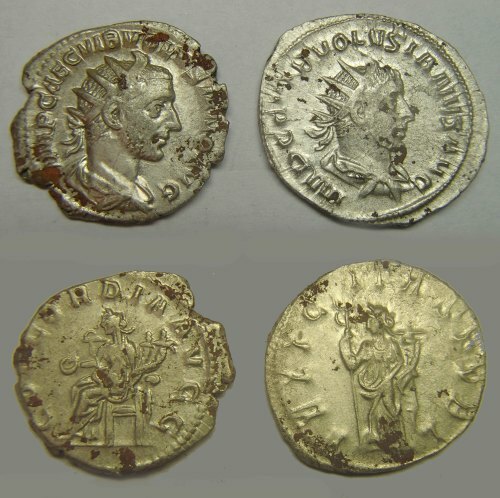 Those of Severus are less than half silver, necessitating the 'enrichment' of the surface by chemically leaching out the baser material from the blank prior to striking with the coin dies. 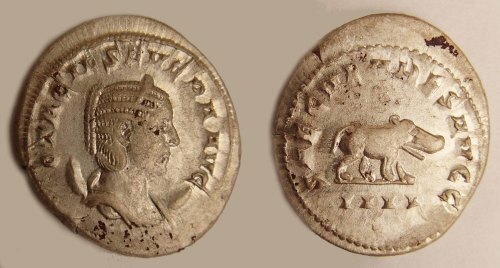 Fineness subsequently drops throughout the century until issues of AD 270 contain only a few per cent - disguised by applied silver 'wash' to the surface. 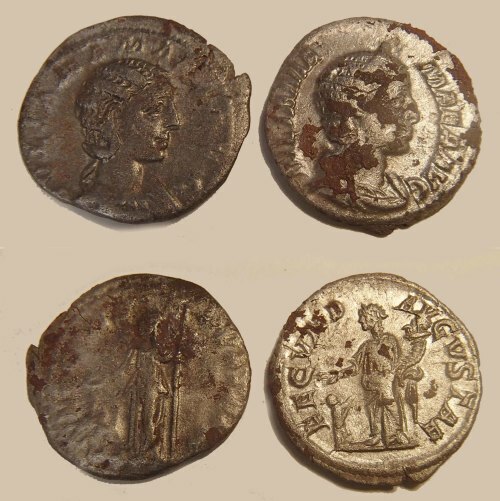 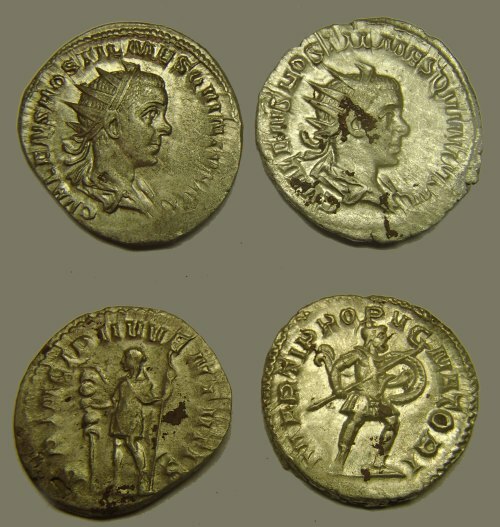 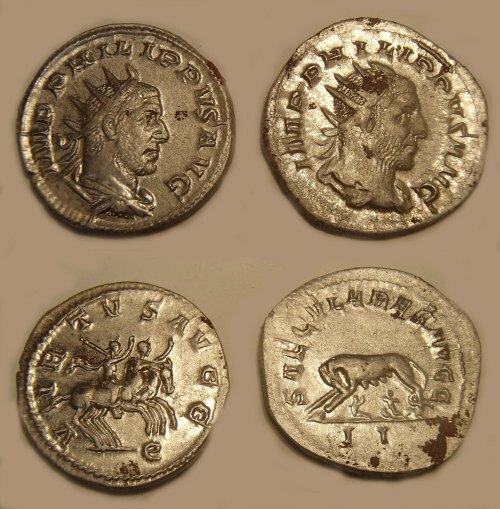 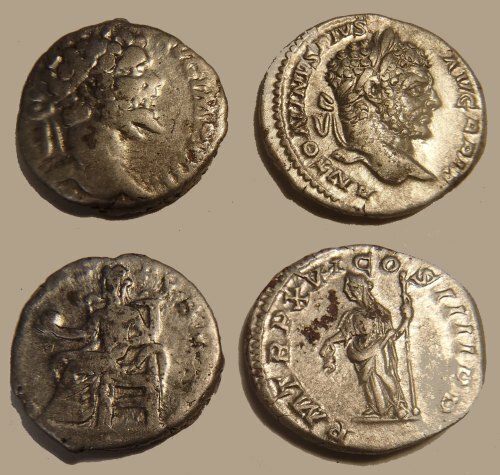 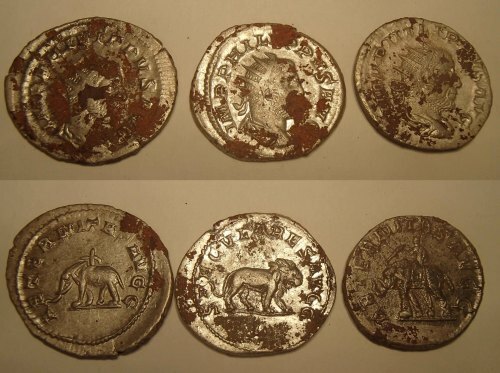 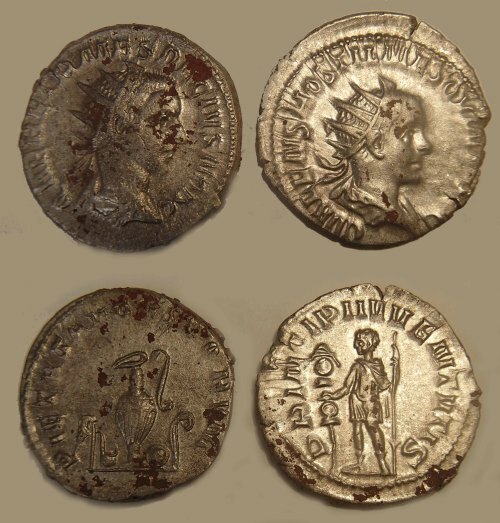 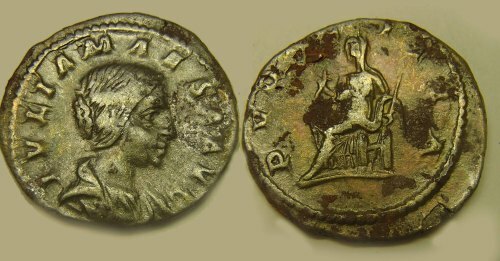 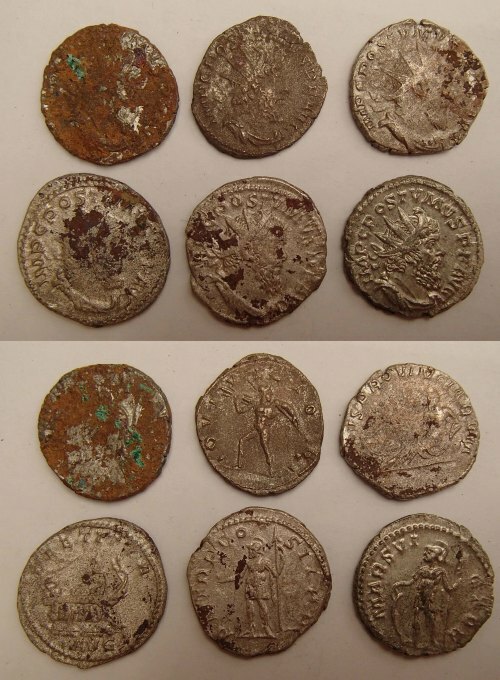 On the balance of probabilities, therefore, I conclude that these coins belong together as a hoard (a group of coins left behind from one deposit) and constitute a prima facie case of treasure by being of an antiquity greater than 300 years and are of one find of more than ten pieces of base composition. 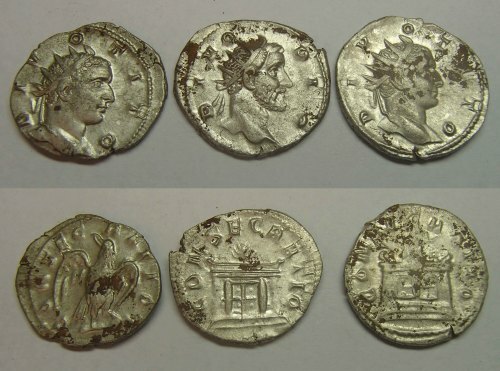 The pot fragments should be considered likewise by virtue of their association with the coins.